The old Trump and the new Trump? They're the same Trump. This film was suppressed 25 years ago. The film was commissioned in 1988 by Leonard Stern as the first of a series on celebrity businessmen and finished in 1991. Back then, the only way for a film to be seen was on television or in the theater. Donald threatened to sue any broadcaster or distributor that took on the film. In effect, it was suppressed. It was screened twice in back-to-back standing room only showings at the Bridgehampton Community House on July 3, 1991, the same day that Donald announced his engagement to Marla Maples. Why it's important and why we should care now. 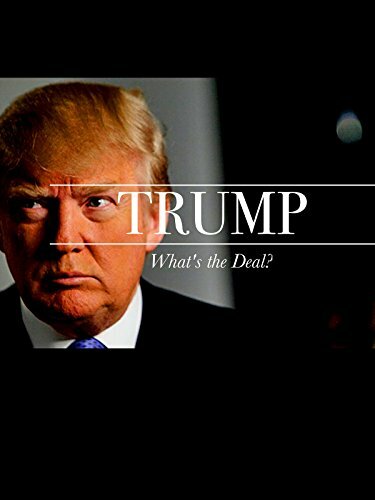 Now that Trump is running for president, it is time for the American People to meet the real Donald and learn how he does business. The old Trump and the new Trump? They're the same Trump. The 80's was the beginning of the "me generation" of billionaires. The 80s was the first modern "decade of greed". Donald Trump was the most visible of a handful of businessmen who became celebrities, a trend that has continued to this day. What's happened with Trump since? Since the completion of the film, Trump’s Atlantic City Empire is gone - sunk into bankruptcy. He is best known as the star of "The Apprentice," for building golf courses‎, slapping his name on buildings that others build, and acting as a superstar real estate agent. Oh, and he is still trying to move the Palm Beach airport.